We’ve had superstar guests in the past.. And we do once again.. Videogame BANG! is joined this week by the real life Mia Khalifa. 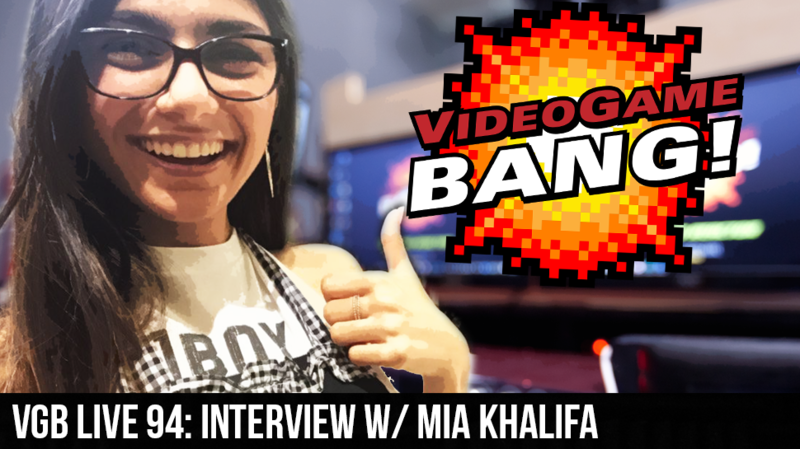 We talked about her last week on the show.. word got around.. she actually listened to it.. she slid into our DM’s and next thing you know… Mia Khalifa was on the Videogame BANG!!! We talk to Mia about her latest venture into the world of Twitch.. She is gracious enough to go through a round of Inside the Gamer’s Studio.. and we talk about having thick skin in this crazy crazy world of the internet. After Mia left we began a game of Geek Jeopardy.. and reflect on how incredible the night was. Thank you for everyone who checked out tonight show, new and old, dont forget to subscribe to the podcast and give us a rating on iTunes and Google Music.. Follow us on Twitch and stay tuned for a lot more amazing guests and special features.